Did you know that even an inch of water seeping into your home or business can cause thousands of dollars in damage? How about the fact that flood losses are specifically excluded from homeowners and personal umbrella insurance policies? In order to safeguard your home or business, you need flood insurance provides the specific protection you need in order to cover losses due to water damage. Keep in mind that anywhere it rains, it can flood. Just because you haven’t experienced a flood in the past, does not mean you won’t in the future. Flood risk isn’t just based on history; it is also based on a number of factors including rainfall, topography, flood-control measures, river-flow and tidal-surge data, and changes due to new construction and development. Flood-hazard maps have been created to show the flood risk for your community. This helps determine the type of flood insurance coverage you will need since standard homeowners insurance doesn’t cover flooding. The lower the degree of risk, the lower the flood insurance premium. There are two main flood hazard level standards and several sub-categories that the National Flood Insurance Program uses to categorize a company’s risk for flooding and to determine premiums. Moderate-to-low-risk buildings, which are in zones B, C and X. These areas are outside of the one percent annual chance floodplain, areas of less than one percent annual chance of sheet-flow flooding where average depths are less than one foot, areas of less than one percent annual chance stream flooding where the contributing drainage area is less than one square mile or areas protected by levees. High-risk buildings, which are in zones A and V.
Zone A buildings are within a certain floodplain distance from a river, lake or stream. Zone V buildings are within a certain distance from the coast and exposed to natural disasters associated with the ocean. For a complete list of sub-categories and to map out which zone your business falls in, visit www.floodsmart.gov, the official website of the NFIP. If your commercial property is in a high-risk flood area and you have a mortgage from a federally regulated or insured lender, you are required to purchase a flood insurance policy. However, the NFIP reports that in 2008, a third of all claims paid were for policies in low-risk communities. Because new land development can increase flood risk by changing natural runoff patterns, it is a good idea to purchase flood insurance even if you are not near a large body of water. For both homes and businesses, the cost of premiums vary based on the amount of coverage you need, what’s covered and your property’s flood risk. Whatever type of coverage you’re considering, it’s important for you to know that new flood insurance policies usually have a 30-day waiting period, so don’t delay in protecting one of your most valuable assets – your home or business. 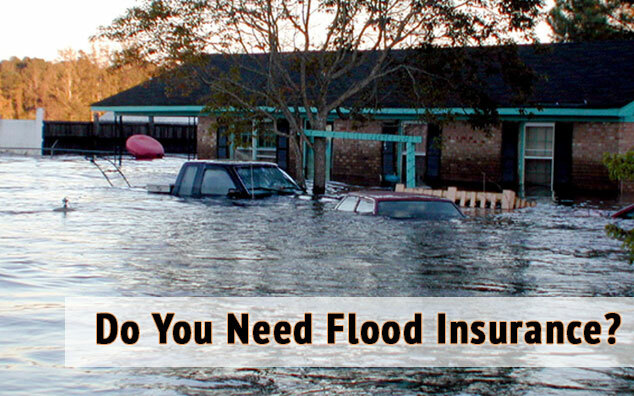 Contact PDCM Insurance today for more information on flood insurance. Is My Claim Flood or Sewer Backup Damage? ← What is Life Insurance?